When Weasel says he’ll build a wall around Toad Hall and make the Riverbank creatures pay for it – in order to “make the Wild Wood great again” and you laugh out loud, you know you’re enjoying yourself. Plus your daughter is also giggling at the antics of Toad, Ratty, Mole and Badger, and you’re both cheering the goodies and booing the baddies – in the middle of August. It shows that Immersion Theatre’s Wind in the Willows really is a show for all ages and essentially a “summer panto”. What more could you want after five weeks of the summer holidays when the novelty of mum’s company is beginning to slightly erode? 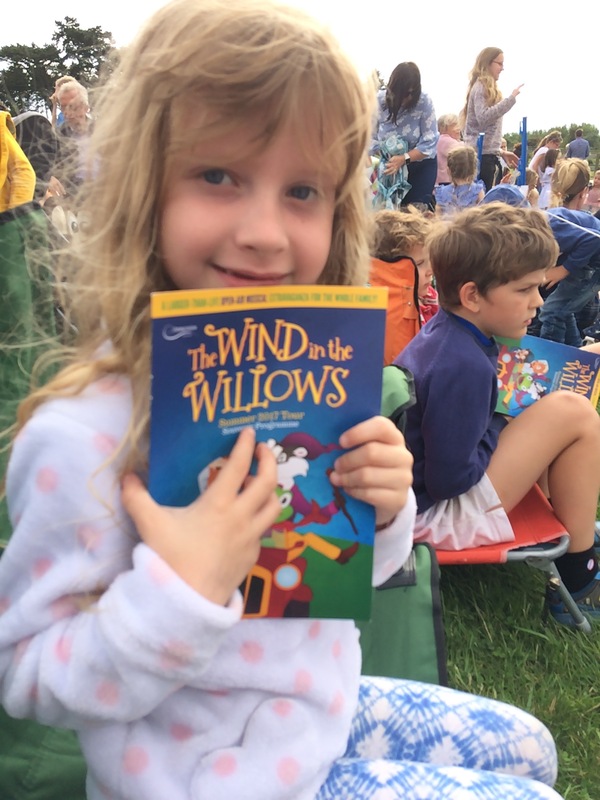 This outdoor production takes Kenneth Grahame’s familiar story and adds topical references and catchy songs that the audience can join in with. Plus, just five actors cleverly and seamlessly play all the characters, singing and dancing to boot, as the four friends battle against the sneaky weasels to save Toad Hall. It’s all very slick, drawing the audience into the action and running at a brisk pace which held the attention of even the very youngest. It’s also simply just a lot of fun. With a spread in our picnic basket, and sitting on a warm afternoon in the beautiful grounds of Hatfield House, laughing and singing – we had a fabulous afternoon.